The participation of an enterprise in e-commerce is no longer a competitive advantage, now it comes as seamless and simple as that experience for the buyer. Today, the headlines of countless reports of downed sites performance problems, deficiencies in service delivery and security breaches are dominated, which affects confidence in the affected brands. All these variables play a crucial role in providing a differentiated and safe customer experience. Current studies show that 72% of customers have made inconsistent experience for online and store purchases. When you consider how many systems need to be updated and integrated to support the e-commerce environment, it is likely that there will be more such reports in the near future. Companies that offer high quality, safe and reliable user experience as required by the customer and all channels shopping experience will win the heart and wallet of its customers. The e-commerce expert of DedicatedSolutions have implemented fast, secure and affordable e-commerce hosting solutions that provide an outstanding customer experience for some of the world’s best known brands. With our technology offers and e-commerce experience to risks associated with the start of application environments, we cover all aspect of your hosting solutions. By providing data centers, our full range of hybrid applications – from colocation to cloud, we support companies in a fast and efficient global organization. E-commerce is just one aspect of the comprehensive range of products and services from DedicatedSolutions for companies that can transform your business with hybrid IT and more. 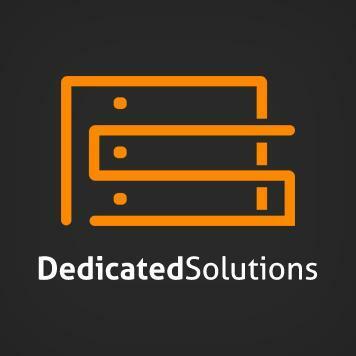 DedicatedSolutions provides Single Server, Multiple load balanced Server, and customized global solution that spread across various data center locations for your single website, social network, eCommerce platform or any of your small, medium, or large requirements. The suite of infrastructure services and applications, business tools and technologies that DedicatedSolutions provides help you to work with ease on mission critical sites with many transactions. We are experts in complex enterprise deployments and provide comprehensive SLAs. DedicatedSolutions provides the broadest range of IT outsourcing solutions with end-to-end hybrid IT skills, managed hosting, private and public cloud services, professional services and a range of managed security and managed storage options. Customers expect a consistent experience across all channels, from traditional stores through websites and mobile channels. DedicatedSolutions has qualified and experienced resources and a solid portfolio of consulting options to host your e-commerce solutions. Risks are very diverse, from the lack of success in market penetration over obligations to partners and suppliers to the cost of infrastructure provision and the physical presence in the region. The data centers of DedicatedSolutions offer full or hybrid applications, from colocation to the cloud, and reduce these risks. With us, companies can deployments websites hosting quickly, efficiently and perform with a low hazard potential. This entry was posted in Cloud Computing, DedicatedSolutions, Hosting Services and tagged DedicatedSolutions, e-commerce, e-commerce hosting, Managed Hosting on March 31, 2016 by marketing.